KL-FS.III type Gynecology Chair Table Bed Unique profile design which is beautiful and elegant. The table adopts high density sponge and is once formed , easily cleaned and sterilized. KL-FS.III type Gynecology Chair Table Bed Foot step hydraulic elevating and Various actions are controlled by penumatic. 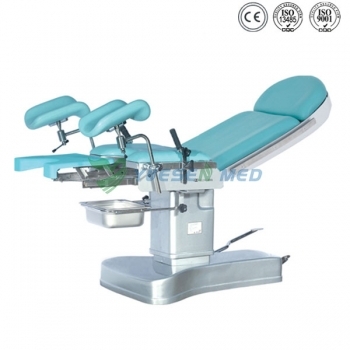 KL-FS.III type Gynecology Chair Table Bed base adopts imported carbon cloth which can be easily cleaned and sterilized.